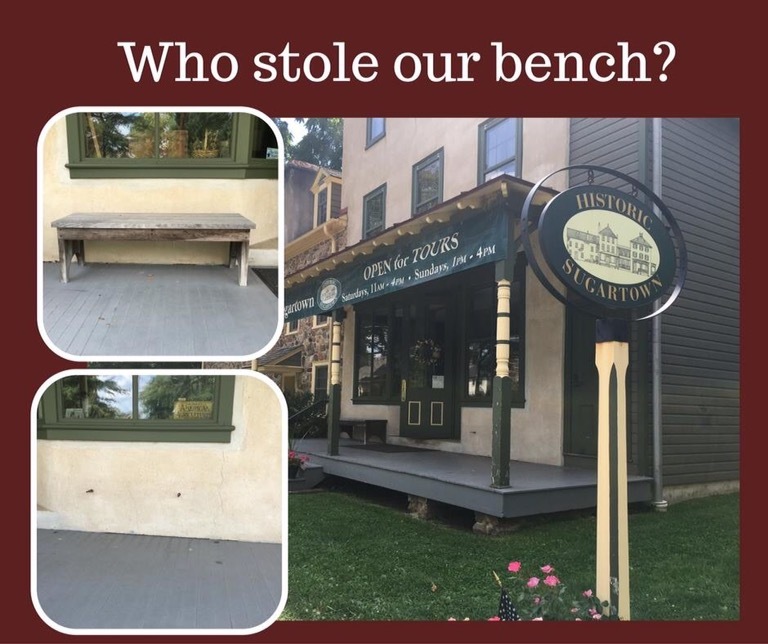 who stole the bench from historic sugartown? I love Historic Sugartown! It is a lovely place full of history. 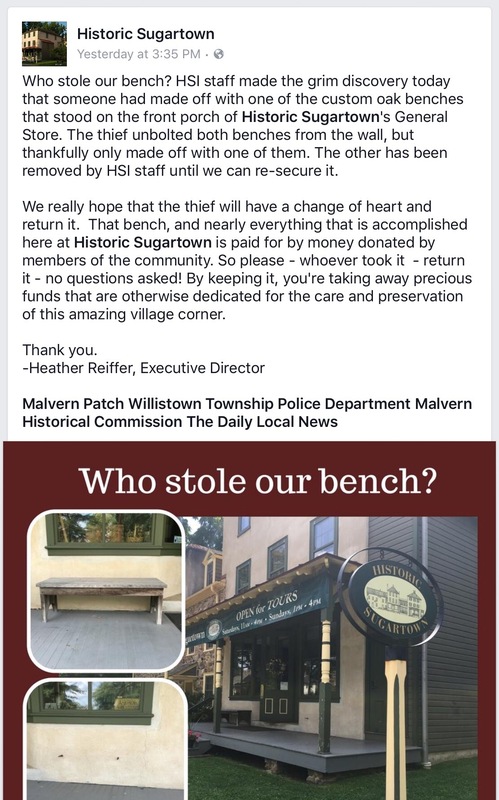 I will admit I am not a fan of the current Executive Director BUT I am happy to cross-post their plea for the safe return of one of their handmade benches, which apparently was bolted to the wall! I am somewhat flabbergasted that someone would steal from a historic site which is essentially next door neighbors with the police department in Willistown! But then I am flabbergasted someone would steal a bench off of anyone’s front porch! Please if you know where this bench is just return it to them. They are saying they just want it back no questions asked. Here is hoping someone does the right thing. save the date: westtown to hold inaugural westtown day september 17th! 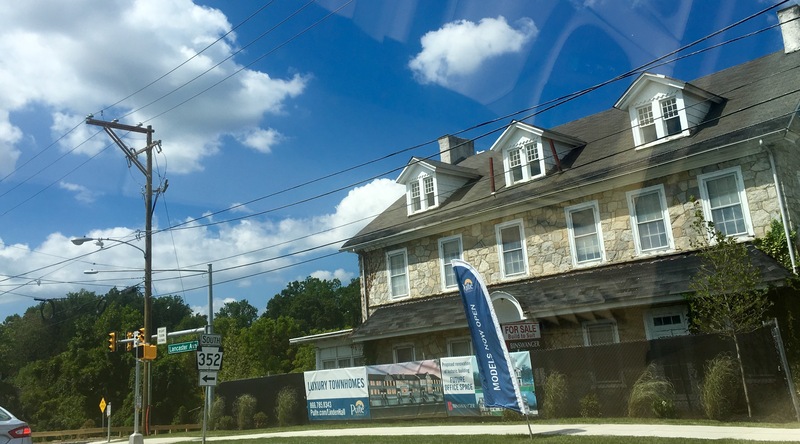 Just the type of event I like to promote, and considering the development news I do NOT like coming out of Westtown Township, it is really nice to be able to tell you about something positive and involving historic preservation. Westtown Township is holding the very first ever Westtown Day at Oakbourne Park on Saturday September 17th from 10 am to 2 pm. The location is 1014 South Concord Rd. Westtown, PA. 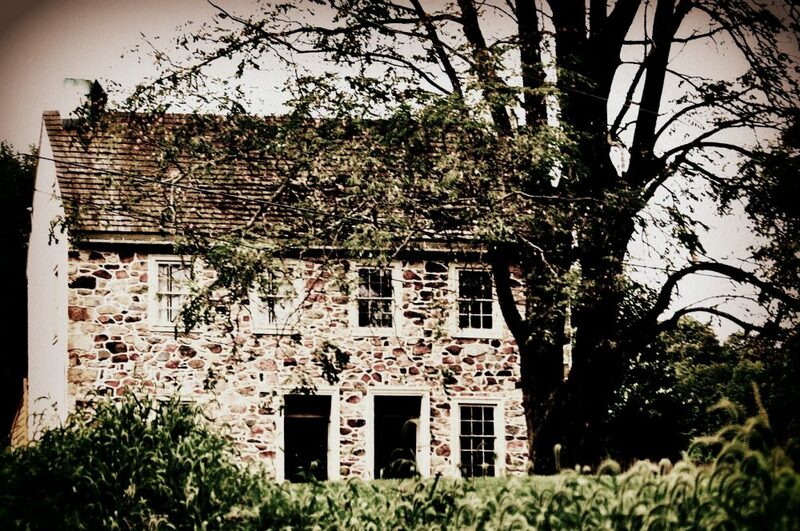 Learn about Westtown’s rich past, notable residents, and historic events since its inception in 1685. There will also be family-friendly events and games for children. Come and meet your neighbors! All ages are welcome. tours of the Oakbourne Mansion and community garden. For more information visit www.westtownday.com. Rain date September 18. 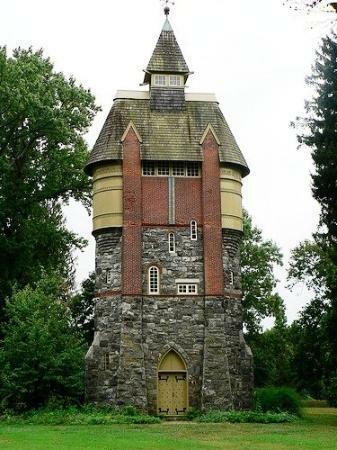 I will tell you I would go just to see the mansion and coolio water tower! Years and years ago when I was working in New York, there was a party held every summer in Newport, Rhode Island on Bellevue in one of the old “cottages” (mansions) called Newport Night in White. I want to say it was maybe held at Belcourt Castle at the time, but it has been way too long (we are talking early 90s). Anyway, it was not the Newport White Party held today which was held this past Saturday on August 27th in Rhode Island. Newport White Party is a different white event which started in 2011. It also benefits non-profits, which Newport Night in White back in the 90s did too. The event I attended for two or three summers was held in the summer some weekend after the Gatsby Ball (or Gatsby Society Ball, I forget what it was called precisely.). This was the first white party I ever attended and it was such an amazing event I still remember it. You dressed in all white cocktail attire to black tie. There was dinner and dancing and it was held in this amazing mansion. And it was FUN. Then white parties sort of petered out except in certain locations where they will always have white summer event like Provincetown, the Hamptons, and so on, and have had a general renaissance due to people discovering Dîner en Blanc de Paris as it grew from a man’s white picnic in Paris in the late 1980s. Now of course, it is this huge thing, held world-wide and licensed. The irony is Dîner en Blanc de Paris was going on when Newport Night in White was, but I never heard of it back then. Who knows if the event organizers did back then, I didn’t know them personally, they just threw a heck of a summer party. When I first heard about Dîner en Blanc in Philadelphia (also known as DEBPhl or DEB) I was delighted. I do like white parties and the idea of white parties even if dressing head to toe in white is hard to wear and hard to pull off. But white makes you think of summer, right? The first Dîner en Blanc in Philadelphia had well over 1000 people. A lot of my friends went. I did not want to go. Why? Because August in Philadelphia outside is gross in my opinion a lot of the time because it is a major metropolitan city with lots of concrete and density. Heat and humidity are bad enough without adding a city to it. I also did not want to go because while I loved the idea of white and a theoretical “white picnic”, already at over 1000 the event was too large for me. And you had to schlep furniture. I also do not like being in huge crowds. I do not like stadium sized events, even sports or rock concerts. It’s just not me and never has been. I find crowds of a couple of hundred too much at times. If you know me, you know I have always been this way. Ok so those are my opinions, right? Nothing earth shattering. They are not a damnation of Dîner en Blanc, it’s how I feel about events that are HUGE. And since its debut in Philadelphia, that event has grown to over 5000 people. I am not so sorry, but no, getting crammed in with 5000 other people in white like lemmings at an outdoor event in August in a big city is not for me. My opinion. Personal choice. Should be no big deal to express said opinion. But no. That is criticism of Dîner en Blanc Philadelphia. And critics are not welcome. My goodness the hubbub over Brian Hickey’s article after the most recent event was not to be believed. This is America, and in America, you can spend $45 (or $93 a couple) on anything you want without fear of repercussions, provided it’s legal and all that. This is America, and in America, you can damn well judge anybody who spends that kind of money for the right to prepare their own dinner, carry their own tables and utensils, don white clothing from head to toe and wave sparklers in the air after usurping a public space in the name of pretentious exclusivity. 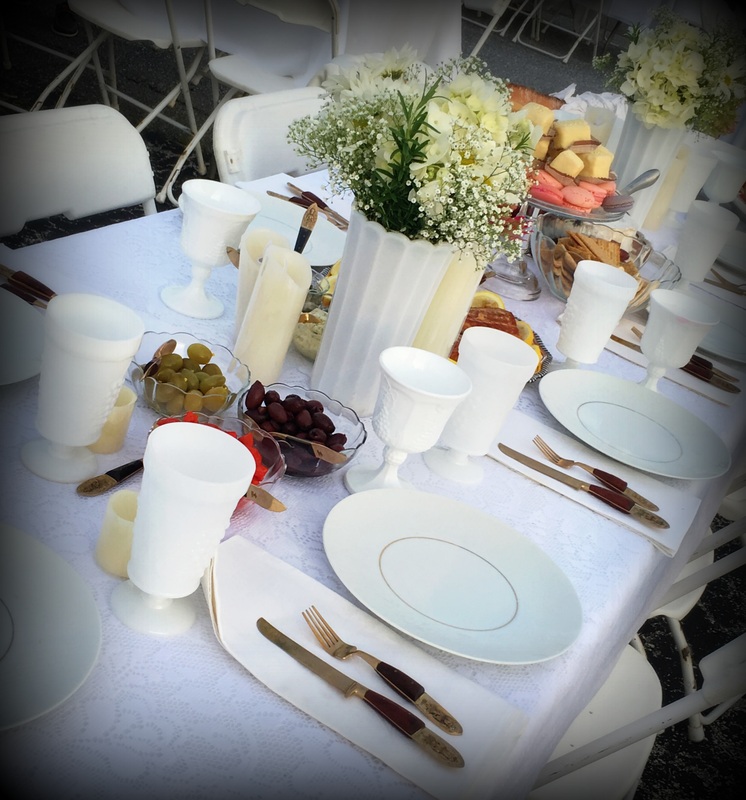 Welcome to the morning after the fifth annual Dîner en Blanc Philly, the pop-up dinner picnic in a secret location. Read the whole article. It is wonderfully written. And captures precisely right or wrong how a lot of people feel about the event. In response to critics of his unfair, and sometimes silly, takedown-attempt of Thursday’s Dîner en Blanc, Brian Hickey suggested that, instead of tweeting at him, the pro-DEB crowd could submit their own commentary to Philly Voice. It was a taunt: as if none of the event’s 5,000 attendees would be capable of writing 600 coherent words defending it. Well, I had an extra 45 minutes this weekend. I attended DEB as a journalist (I cover Philadelphia and the rest of the country for a number of publications, including Washington Post, USA TODAY and Travel + Leisure). Read the whole piece. “Takedown”? Seriously? What is this a mob hit? Seems to me Brian Hickey wrote an opinion piece. It’s cool to hate on Diner en Blanc, but is it necessary? …Part of the cri­ti­cism is that this is elit­ist, pre­ten­tious and ob­nox­ious. Yet, at $45 a seat, it’s a far cheap­er night out than most black tie galas that run every oth­er week­end. And, if you look at the crowd, you’ll see these are far from just so­ci­ety reg­u­lars that pop­u­late those old-money events. This DEB crowd isn’t bring­ing out the an­tique jew­elry, it’s shop­ping on Etsy. And among the big so­cial events of the city, DEB hap­pens to be the most di­verse. Far from be­ing the white­wash that many of the pop-up beer gar­dens and Fishtown fest­ivals tend to be, DEB ap­pears widely pop­u­lar among black at­tendees and oth­er minor­it­ies. And where else do you see people from vari­ous races and eco­nom­ic back­grounds din­ing el­bow to el­bow, fine china next to dixie cups and Tup­per­ware? Ok that is the author’s opinion. I do not quite see the event as a great equalizer, but she loves it and it’s her opinion. But, you are not allowed apparently to have a negative or even a different opinion even if it is not particularly negative, just honest. And yo’ Philly, birthplace of America and our freedom, do you remember the First Amendment regarding opinions? Land sakes do you people think this is the first person to write about these events in less than glowing terms??? Or to mock any social event? The Washington Post: Why do people hate Diner en Blanc? The word ‘pretentious’ keeps coming up. It is very, very easy to hate Diner en Blanc. The annual event, which returns to Washington on Saturday night, brings thousands of people to a surprise location, where they arrive dressed in head-to-toe white, eat gourmet picnics and drink champagne in full view of the uninvited masses. Those who are out and about this weekend may see a parade of them on the Metro, toting tables and chairs and china. And depending on your outlook, you’ll either wish you were one of those lucky 3,500 or loathe them with every fiber of your being. “No event has ever made me want to plan a paintball rampage like this one,” said Tom Bridge, editor emeritus of We Love DC. He’s kidding, kidding, he promises! But he is not alone…..But no foodie trend seems to raise hackles quite like a very public, invitation-only party with a dress code and a $45 admission fee. “The whole process is so unbelievably pretentious it seems to me to be a complete waste of effort,” Bridge said. “Pretentious” is a word that comes up a lot around Diner en Blanc. Is it the French name? Peut-être! Again, read the whole article. They event mention the Philadelphia tempest in an en blanc pot. For better or for worse, I’ve been a participant of Diner en Blanc for the past two years. My special lady friend’s mother enjoys it, therefore my special lady friend enjoys it, so I must enjoy it. Such is the law; I didn’t write it. Before I ever attended, I found the amount of hatred the general public held for this gala to be entertaining, but didn’t think much about it. As an outsider, it struck me as just another us vs. them debate, in a city that is literally defined by us vs. them debates. Like all such debates, I figured there was some merit to the criticism, but felt pretty sure that it couldn’t be as bad as it was made out to be. Now that I have two of these events under my belt, I can confidently say that it is…Its indulgence defined, and the true cost isn’t simply $93 per couple (plus the requisite two bottles of Cab Franc per person). It’s the wasted opportunity that comes and goes when 5,000 Philadelphians who have the time and money to do better with both, get together and waste it on taking drunk selfies on a Thursday….An estimated 5,000 people got together, and spent almost a quarter of a million dollars to do it. And no one – not one of us, not one citizen in the city that hosted it, is any better for it. Let’s do this differently next year. Please. I’d like to be hungover because I helped someone, not (just) because I’m an entitled prick. Again read the whole article. Of course the response of one of the originators of Dîner en Blanc Philadelphia, was a little Marie-Antoinette-let-them-eat-cake because they said “all” of “Philly” benefits. There has been so much breast beating back and forth over this event on social media that it is somewhat crazy. People saying they will “unfriend” other people for criticizing the event. Seriously? OK I get the picture, people love the event. But others don’t . And then there are others like myself that love to look at the event photos but have absolutely no desire to go to the event. My reasons for not wanting to go, my personal choice for choosing not to go also by the standards set by these people makes me a Dîner en Blanc Philadelphia hater. Alrighty then, pretzel logic. I do like events that benefit charities. I especially like events that benefit charities that do not take themselves so seriously and don’t (for example) call themselves “balls” when by definition they are not. I grew up in Society Hill and on the Main Line. I went to a private school. I did the cotillion for the Charity Ball all in white. I did years and years of traditional non-profit events and traditional volunteering like my mother. I stopped doing most of it after 9/11 by personal choice. I felt that most of those people on those committees and who attended those events would always need people like me more than I would ever need them. I also felt bigger picture, there was more to life that was more important. Also, let’s get real: these parties are expensive and a new dress for every event adds up. But I do like white parties and I do appreciate non-profit events that do good for legitimate local charities. So when a friend suggested Brandywine in White and described it to me, I thought “why not”? It is an absolutely lovely event. It has a charming host and slew of people who put it together. While not a non-profit per se, part of the proceeds benefit a local charity. In 2015 it benefitted the Sunday Breakfast Mission in Wilmington, DE. This year they were donating to the Land Conservancy for Southern Chester County to help save Barnard’s Orchard. Also this year held on the same evening of August 27th was the inaugural WC Summer Soirée . This event had a non- profit formed first and benefitted three local Chester County Charities: St. Agnes Day Room, Chester County Food Bank, and Chester County Family Academy. Both of these Chester County / Brandywine Valley events are summer white or en blanc parties. But they do not try to be Dîner en Blanc Philadelphia. They are white parties yes, but the feel is different. These are lovely events that are more laid back. You have fun and it is a few hundred people versus a few thousand. You don’t schlep your furniture you buy tables and service tables or eat at communal tables. You do set up your tablescapes in white and dress in white, but your back drops, the settings are completely different. And yes they choose non-profits as event partners. To me that is more appealing. And the people whiles mostly strangers to me at these events are so nice. People mingle and table hop and enjoy checking everyone’s tablescapes out. 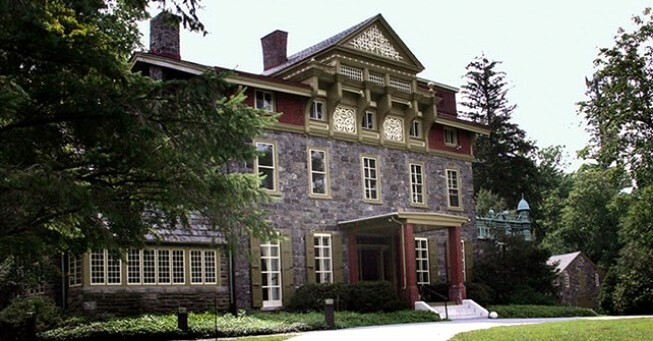 I love to entertains, cook, and everyone knows I love vintage dishes and linens, so I totally have fun at these Brandywine Valley/ Chester County events. We had a blast at WC Summer Soirée ! It was held at the American Helicopter Museum and there were even helicopter rides. People had fun! Dress code wise it was slightly more casual than Brandywine in White, but that’s fine as it was never intended to be a clone of Brandywine in White or a Dîner en Blanc. I thought the damnation by faint praise to be shall we say, ignorant and totally unnecessary. If they thought it was a nice party, why couldn’t they just say that? It is not supposed to be Dîner en Blanc Philadelphia so why toss that in? White party yes, but DEB, no. And sorry not sorry, but DEB did not originate the concept of white parties or place a patent on them, they have revived an entertaining trend. I responded to those people that I would rather support good causes in Chester County then to be among the 5000 lemmings dressed in white, in Philadelphia. You know what this is boys and girls ? Opinion and personal choice. I was never kept off a guest list for this thing, I chose not to go for valid reasons already discussed. So then these people decided to follow me on Twitter . I decided to back them because if you know social media and you know Twitter you know the next thing is a flat out Twitter war over whose opinion matters more. I didn’t want that, so I chose not to engage. Oh snap! I guess he schooled me, right? I also think that technically DEB Philadelphia (license or not) can be considered a copycat of other larger established DEBs around the world and other white parties, yes? After all DEB Philadelphia did not originate the idea of a white party in general, did they? I admit I told him to have a hissy fit other than at me and it was bourgeois that he did not realize not everything is trying to be DEB. Sorry not sorry, my opinion. Knowing a Twitter feud would definitely spring from this one, I blocked him. I shouldn’t have engaged in the first place, and chose not to engage further. I mean seriously he is a publicist being paid to promote this event? And part of the job description is being the DEB Philadelphia ankle biter? And my goodness, do the people who run Dîner en Blanc Philadelphia think this is acceptable behavior out of what amounts to someone they employ to positively promote their event? And as a professional publicist this person thinks their version of playing well with others is acceptable behavior? Right or wrong, if I were hiring a publicist and saw this out of a publicist they would be the last publicist I ever hired. And seeing a publicist doing this even if not directed at me personally would mean if I didn’t want to go to something in the first place, I would never even ever reconsider the event or recommend it to others. And if I did want to go, I would choose another party because who wants to go to something represented by someone like that anyway? I guess this guy thinks that the White Party in Provincetown the past 30 years is also a “copycat” of DEB Philadelphia? Hey New Orleans — here’s a dinner deal for you! First you pay $35, then you bring your own food, utensils and your own goddam table. You don’t know where you’re going, but you must wear white from head to toe. Oh, and there’s a three-step process for application and a waiting list (“Best of luck in your registration!”), because, you know, the experience of paying a stranger for the privilege of staging your own dinner party is not just for everyone, darling. Are we really turning into this, New Orleans? I hope not. Because this whole thing makes me feel like putting on an old Saints jersey and licking roast beef po-boy gravy off my forearm while doing the Cupid Shuffle. Last year, it was a crack at cheekiness. Ce Soir Noir was expected to rouse a few dozen people, dressed in black, to picnic at Crab Park, in a polar opposite to Diner en Blanc. It drew 1,500, enough for the organizers, artists Graeme Berglund and George Vergette, to crank it up again. And so, on Aug. 30, there will be the second, possibly annual, Ce Soir Noir from 5 p.m. to 9 p.m. “A barely organized, family-friendly, free, community picnic at Crab Park,” according to their press release. Just wear all black, bring food, non-boozy drinks, a blanket and friends. I will note that the Brandywine in White folks also host a fabulous and fun Brandywine in Black. They have been. And I doubt you would see them roll up on Twitter to call the folks in Vancouver, Canada “copycats” for doing Ce Soir Noir, right? I do not believe a lot of the DEB Philadelphia aficionados really knew that alternative white parties existed until this year. So you did have some of these people cross-pollinating and early photos for Brandywine in White show me some people who are more the DEB crowd at Brandywine in White. Will they be excommunicated from DEB Philadelphia I wonder for cheating on DEB? Only time will tell. My personal opinion is they get to see how nice other kinds of white parties are. I was also amused to see a former society editor who takes event photos and sells them off a website along with paid advertising was also at Brandywine in White. No they are no longer media who represent a media presence, they are just trying to make a living. So the smaller Chester County events are catching on. That is terrific as it means more money for the charities chosen, right? So to re-cap: Disliking or criticizing DEB Philadelphia is a serious offense punishable by Twitter blocking and ostracizing on the part of those you have never met and never particularly want to. I started out liking the concept of DEB Philadelphia but CHOOSING not to attend because of the size and the schlep factor. But these people do not get that nuance and have probably now moved me to the event specific dislike column because of the behavior of these Keyboard Cowboys defending the honor of the event. Why? Because if this is the way people behave “supporting” this event, goodness they can keep it. But according to their pretzel logic this is the way the world is supposed to be. And yes, I know that events like this are expensive and so on, but somehow the white parties other than DEB Philadelphia manage to cover those costs AND raise money for charities. Will I still attend other white parties or en blanc parties? Yes because the other parties don’t preen with self-importance, nor do they take themselves quite so seriously. They do good with the events by picking charities to help, and the parties are fun and the attendees pleasant. White parties are supposed to be FUN and the Chester County/Brandywine Valley parties are just that …and they are beautiful in great settings as well. And if you want to block me on Facebook and Twitter because of my opinions, have at it. I don’t want to know people who behave like that anyway. There are more important things in be concerned about. To each their own. Not every event is for everyone and that is OK. If that were the case we would either all be bobble headed Stepford Wives or attending Sheeple en Blanc. White parties come and go, they are entertaining trends for the most part in my opinion and that’s OK too. I understand the knives and scissors time will now commence as they dissect and comment on this post, even if they may or may not do so publicly. That is fine. That is their opinion, just like this is mine. Three cheers for the glorious birthplace of American freedoms. Maybe if they ever do a DEB Philadelphia at Independence Hall they could hand out little copies of The Declaration of Independence, the Constitution and so on and so forth. how is this chester county? Called Courts at Chester Springs and located at 770 Birchrun Road ,Chester Springs,PA as per Pulte website, this is the latest in developer-grown plastic house crops. 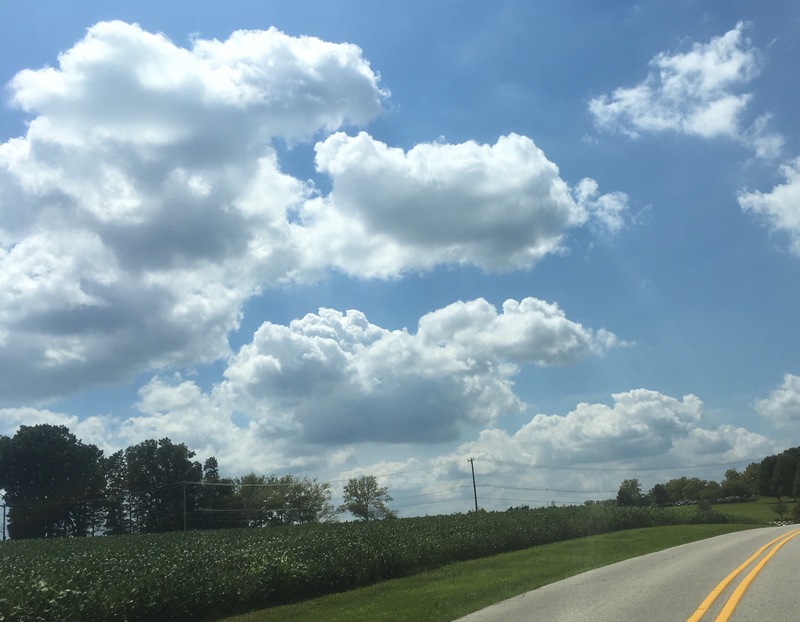 This is located in West Vincent Township, Chester County. How many families does that add to the school district, I wonder? Wake up Chester County. It’s time to slow down development across the county before it truly is too late. Oh and that raggedy grove of mismatched trees in photo above is conservation I am told? Really? This urbanization of the country does what exactly? Besides eliminate open spaces and the agricultural heritage of the county? How is this beneficial to all residents?